Does your home have a sump pump? These devices are generally located in the lower parts of the house, (whether it be in the basement or a crawl space) and work to remove excess water. They offer many hard-to-beat benefits that help maintain the condition of the home and are highly recommended for the four reasons listed below. You won’t have to worry about standing water with a sump pump in the basement. Installed at the lowest part of the floor, the hole the device is located in creates a natural pull for any water finding its way inside. Once it reaches a certain level, a pipe attached to the sump pump will begin drawing the water out of the basement and dumping it back outside where it belongs. These organisms tend to flourish in dark and damp areas. They release small spores into the air and can cause a myriad of respiratory issues among the ones you love. 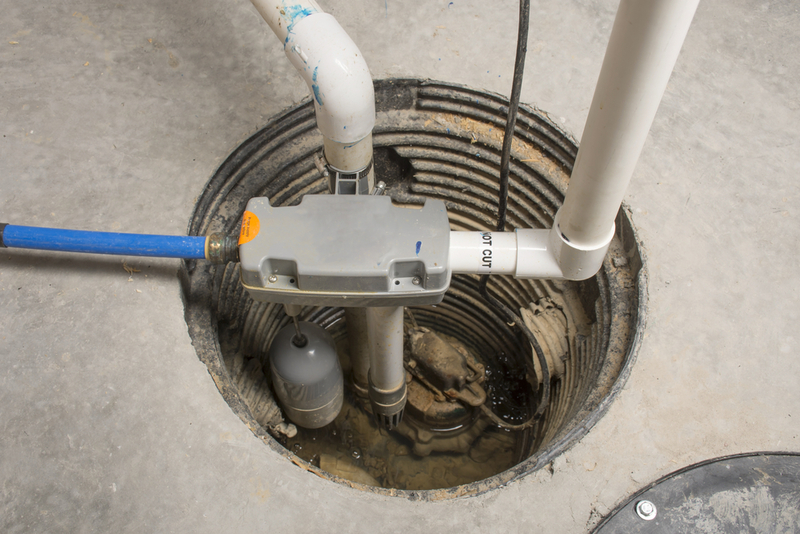 The best way to eliminate any possibility of mold or mildew is to have a sump pump installed. All excess water will be removed, which will allow the floor and walls to completely dry out. The soil surrounding your home’s foundation can also be positively affected by the installation of a sump pump. As the subterranean water is displaced from under your home, it reduces the pressure of the soil from above and stabilizes it. This will maintain the condition of your foundation and prevent outward forces from jeopardizing its structure. A home with a sump pump installed will instantly increase in value. This is largely due to the amount of time saved if the basement floods. Timely water removal reduces the amount of damage a couple inches of standing water could do. If your home doesn’t have one of these devices installed, it’s time to connect with the professionals at A Plus Sewer Service Inc. of New Hampton, NY. This family-owned and -operated company has supplied quality plumbing services for nearly 30 years and specializes in sump pump installation. They work with quality sewer pump products in the industry and pride themselves in offering the most affordable solutions. Call (845) 294-6103 to speak with one of their representatives, or visit them online for more information. Other Announcements, Events and Deals from A Plus Sewer Service Inc.